You can enroll customers directly into your online courses just by entering their email address. They'll receive an email that they're now enrolled. Type in their email address and click "Yes, enroll this customer" to give this person free access to your online course. All they'll have to do is click the link to set a password. 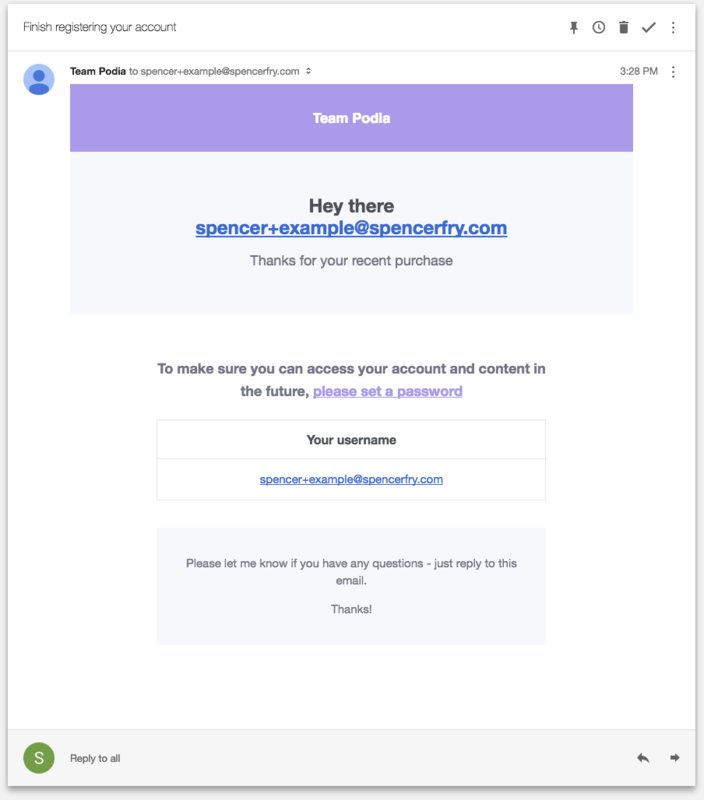 If they already have an account with you, they'll receive a welcome email instead with a link to login.